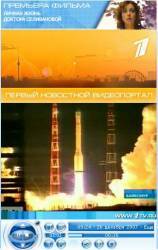 Launch of the first GLONASS-K satellite, scheduled to take place this morning (6:15 a.m., Moscow time, February 24), has been postponed for 24 hours, according to the Russian state news agency, RIA Novosti. A spokesman for the Russian Space Defense Forces attributed the delay to "technical reasons." A news report by the PRIME-TASS news agency, citing a space industry source, said the failure involved a piece of the launch vehicle’s control system equipment. The demonstration version of the next-generation GNSS spacecraft will be placed in orbit by a Soyuz-2.1b rocket from the Plesetsk cosmodrome north of Moscow — both a new launcher and a new launch facility for the Russian GNSS program, which has relied on Proton rockets sent up from the Baikonur space facility in Kazakhstan. The GLONASS-K will have a service life of 10 years, will four FDMA signals in the L1 and L2 bands and a new civil CDMA signal in the L3 band.